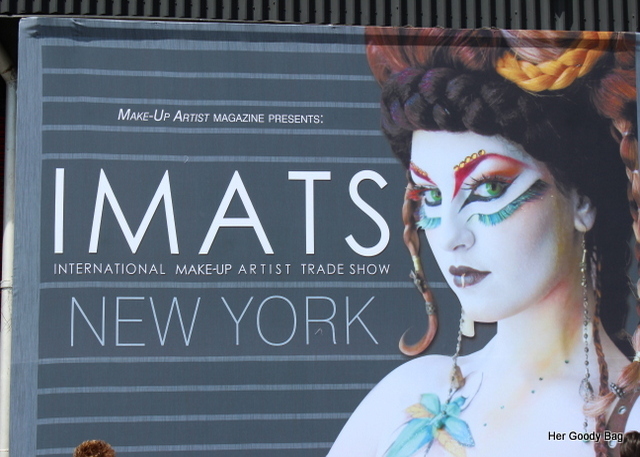 Last week I attended IMATS which stands for the International Makeup Artist Trade Show. The event is held over the course of two days and I attended both Saturday and Sunday. On Saturday I met up my friend/MUA Kim of Makeup by Kim Porter and Sunday I met up with one of my friends from college, Faren, who is an aspiring MUA. On both days we walked our way through the streets of Manhattan and made our way to Pier 94 where the event was held. 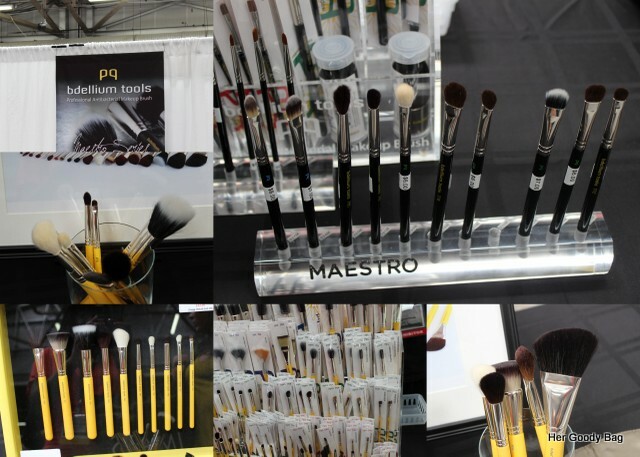 This was my second time attending IMATS so I was pretty excited to see the new products from some of my favorite brands. So as soon as we entered we headed straight for the brushes. 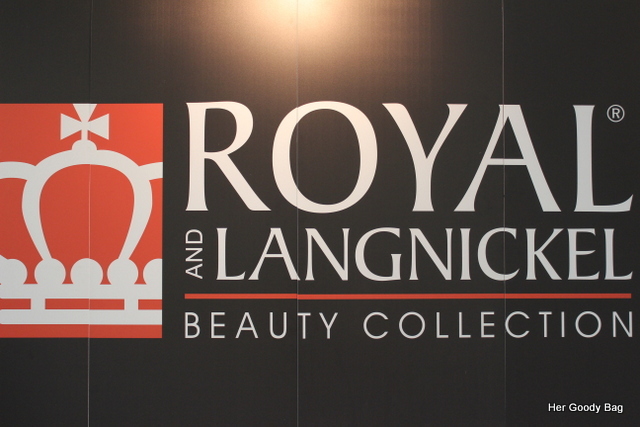 Kim was in need of new brushes so we first headed to Royal Langnickel. The line for this brand is always ridiculous because their prices are amazing. We didn’t want to wait on that line so we headed to a brand that I was not too familiar with called Bdellium pronounced del-ee-yuhm, -uhm. These brushes are anti-bacterial which I found to be amazing. Makeup brushes if not cleaned properly has tons of bacteria that you are essentially applying to your face, so these brushes are anti-bacterial and carry less bacteria. I was sold and purchased a few brushes when I returned on Sunday. 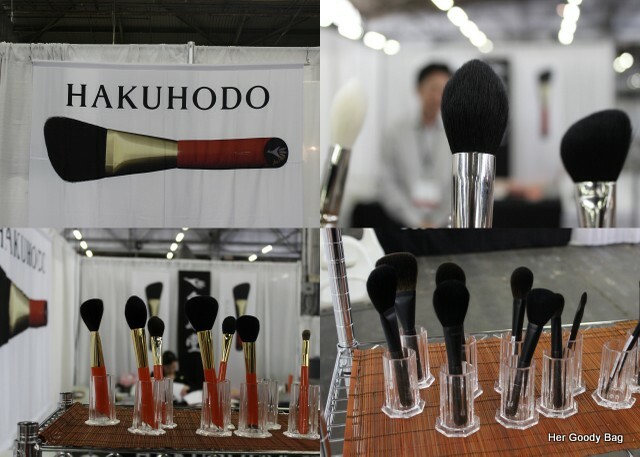 One brush company that I was impressed with was Japanese brush company Hakuhodo. When I got to the booth I was immediately drawn by the construction of the brushes. They looked lush and luxurious. I fell in love with the brush once I felt the soft texture of the bristles. I then looked at the price and noticed the brush I was holding cost $96. Yes $96 and I am sure that was a discounted rate. No wonder the brushes looked so amazing right!? Once we were done with the brushes we headed over to Model in a Bottle. I was introduced to Model in a Bottle by Kim when she did my makeup one day last year. It is an amazing eyebrow sealer. Once she reshaped my brows and applied the Model in a Bottle sealer, my eyebrows did not move! I would definitely invest in this product. They also carry a makeup setting spray as well. Stila Cosmetics is one of my favorite brands. I love their lip products. 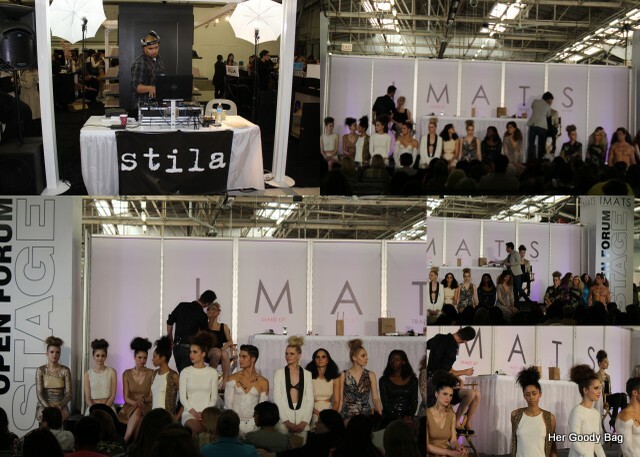 During my time at IMATS, Stila was on the main stage. Pro teaching artist Dominic was giving great tips for Spring Summer makeup application. Most of the models rocked natural dewy looks which is a hit for the summer. One of my favorite brands besides Stila is Inglot Cosmetics. I find their eye shadows to be great for women of color. They are heavily pigmented and last all day with or without primer. 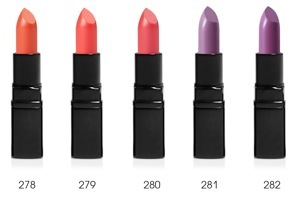 I also love their slim gel lipsticks. I purchased a lip paint pot for my mother and it is her favorite lip product now. I love long luxurious eyelashes but they can be a pain to apply. Also some eyelashes are hard and can be quite annoying. 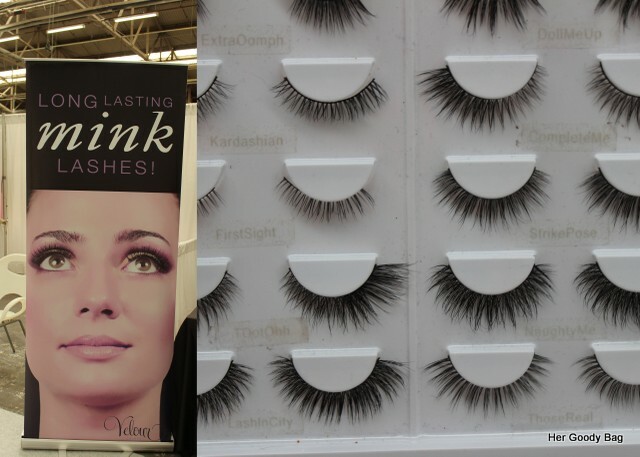 Kim and I visited the Velour Mink Lashes booth and were blown away. The lashes looked natural and they were super soft. One of my favorite parts of IMATS would have to be watching companies like Mehron transform people right before your eyes with the theater makeup. These transformations take hours, but the finished product is always amazing. Shows like Face Off really dive in to makeup artistry from a totally different perspective of the glitz and glam. 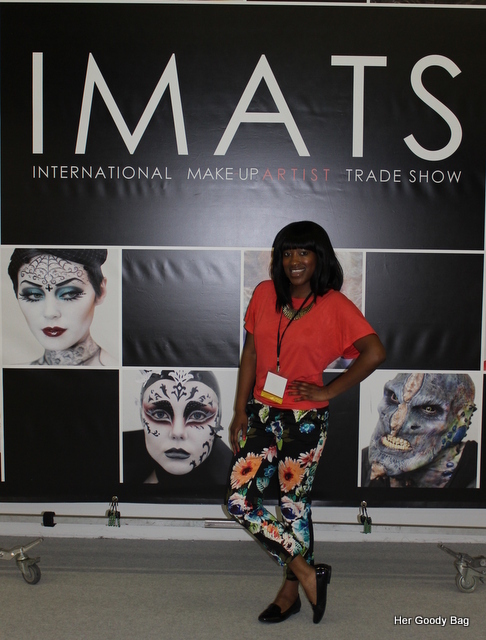 Overall, I had a great experience at IMATS and can’t wait to see what is in store next year! With the New Year approaching, it is time to break out of your neutral lip routine and revamp your look with INGLOTS new lip-popping colors now offered in 5 new shades. With their unique formulation and special ingredients of vitamin E and apricot kernel oil, your lips are guaranteed to feel moisturized and protected. The formulation also allows for an easy and long lasting application, and will not leave your lips feeling sticky. For a more even application, use INGLOT Brush 12S to apply. 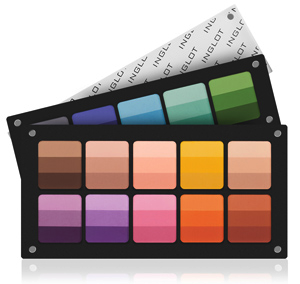 INGLOT Company was established over 25 years ago by Wojtek Inglot, a young chemist working at that time in R&D department in a pharmaceutical company. His principal objective was to produce high quality products at fair and reasonable prices, using only the best possible ingredients and raw materials from the most reputable suppliers. Wojtek Inglot is still directly involved in the formulation and design process of all new Inglot products. All Inglot cosmetics are produced within the European Union and 95% of them are manufactured in our own state of art production facilities. We work with make-up artists and colour consultants to bring the latest trends in colour, texture and form to the market. We are constantly developing new products and have just launched the world’s first everBreathable Nail Enamel ensuring better health care for nails whilst enhancing their beauty. Our unique Freedom System allows customers to experiment withcountless shades and colour combinations of different face products, givingthem the opportunity to create their own customized colour palette. We are present in 280 retail locations worldwide. These look like great colors for spring! Stock up now ladies. 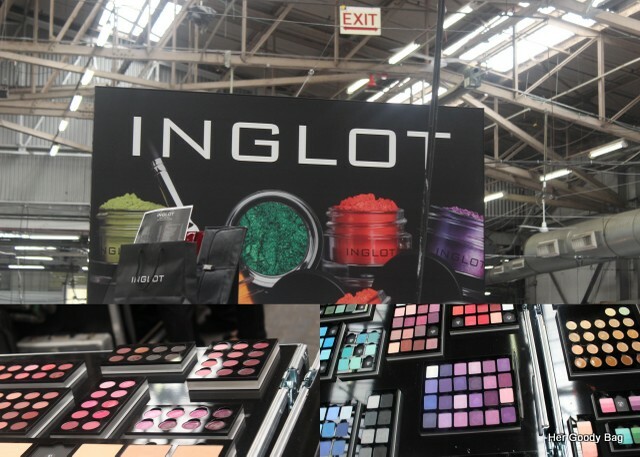 INGLOT Company was established over 25 years ago by Wojtek Inglot, a young chemist working at that time in R&D department in a pharmaceutical company. His principal objective was to produce high quality products at fair and reasonable prices, using only the best possible ingredients and raw materials from the most reputable suppliers. Wojtek Inglot is still directly involved in the formulation and design process of all new Inglot products. All Inglot cosmetics are produced within the European Union and 95% ofthem are manufactured in our own state of art production facilities. We workwith make-up artists and colour consultants to bring the latest trends in colour, texture and form to the market. We are constantly developing new products and have just launched the world’s first ever Breathable Nail Enamel ensuring better health care for nails whilst enhancing their beauty. Our unique Freedom System allows customers to experiment with countless shades and colour combinations of different face products, giving them the opportunity to create their own customized colour palette. 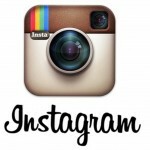 We are present in 280 retail locationsworldwide. INGLOT Cosmetics is excited to launch Rainbow Eye Shadows, a collection of matte shadows available for Freedom System. These highly pigmented eye shadows will be available in 20 different shades and each will boast hues of light, medium and dark. The colours can be blended together or applied separately, providing the consumer with a limitless variety of options and more eye-popping shades! The shadows will come in rich colours of greens, emeralds and teals to penny bronze, coppers and browns. They are guaranteed to be long lasting, andprovide consumers with the ideal finish to enhance the shape and colour of their eye. SRP: US –A palette of (2) Rainbow Eye Shadows starts at $24. Availability: US – In-stores and online July 16, 2011. 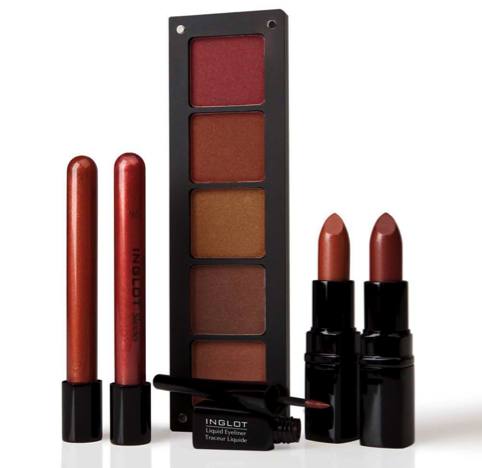 InglotUSA.com, Inglot Stores – NYC, Las Vegas, Miami, Newport Beach, and New Jersey. Freedom System is a unique method of arranging eye shadows, blushes, pressed powders, lipsticks, concealers and brow products in special magnetic cases, which can be combined freely. The Freedom System collection is available in a variety of sizes from a selection of two products up to a palette of 40 eye shadows. Palettes are designed for both the consumer and professional makeup artist alike. Owing to the magnetic locks, cases can be combined freely creating “blocks” of cosmetics closed with one lid. This solution is extremely useful while working on makeup as it reduces the space occupied by a huge collection of products to a minimum and also secures it perfectly. Moreover, eye shadows, blushes, and powders are placed on a magnetic tape which makes it easier to exchange them. Each of the cases can also be closed individually with a separate lid. INGLOT Company was established over 25 years ago by Wojtek Inglot, a young chemist working at that time in R&D department in a pharmaceutical company. His principal objective was to produce high quality products atfair and reasonable prices, using only the best possible ingredients and rawmaterials from the most reputable suppliers. Wojtek Inglot is still directlyinvolved in the formulation and design process of all new Inglot products. All Inglot cosmetics are produced within the European Union and 95% ofthem are manufactured in our own state of art production facilities. We workwith make-up artists and colour consultants to bring the latest trends in colour, texture and form to the market. We are constantly developing new products and have just launched the world’s first ever Breathable Nail Enamel ensuring better health care for nails whilst enhancing their beauty. Our unique Freedom System allows customers to experiment with countless shades and colour combinations of different face products, giving them the opportunity to create their own customized colour palette. We are present in 280 retail locations worldwide.